Danish Developed dongle and software makes it easy and economical to monitor the engine in any newer car. Alt sammen får du for mindre end værkstedet tager for at lave én enkelt test. Traditionally, spring brings not only warmer weather, but also boosts the sales of used cars. In this context Ole Thor mentions three obvious uses for an OBD scanner. 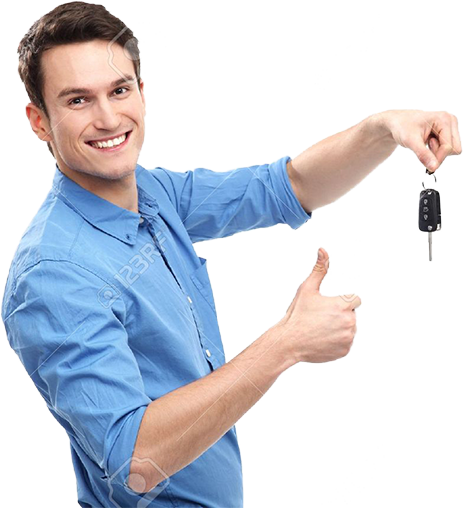 First, it is easy to see if the car’s electronic chassis number corresponds to the physical number and papers. This control can avoid any surprises in connection with eg. flex-leasing. A potential buyer can also check when an error code is deleted, or how far a car has been driven on an active fault code. If the dongle says for an example 10.000 km, this may indicate that the car has not been serviced regularly. A more long-haired thing is read out of a car’s fuel adjustment over a long time . This parameter should not vary more than plus / minus a few percent, and is it going around plus / minus 10 %, the reason may be that the engine simply is worn. 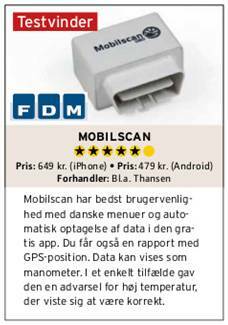 In this way, our OBD dongle quickly pay for themselves – Sales manager Ole Thor, MobilScan. The Mobilscan system comprises an app for your Android device or iPhone (iPad, iPod) and an OBD Bluetooth/WiFi adapter, WiFi for iPhone Bluetooth for Android. You buy the Mobilscan adapor for either Android og iPhone / iPad and download the free Mobilscan app, it is actually that simple. Order your adaptor here or buy from one of our delaers.